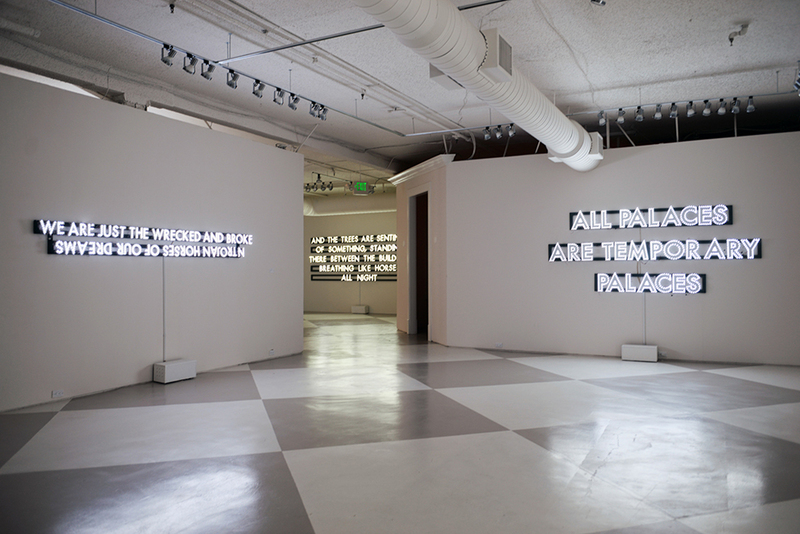 La Jolla, June 20th, 2016 – Madison Gallery proudly presents new work by Scottish artist and poet, Robert Montgomery. 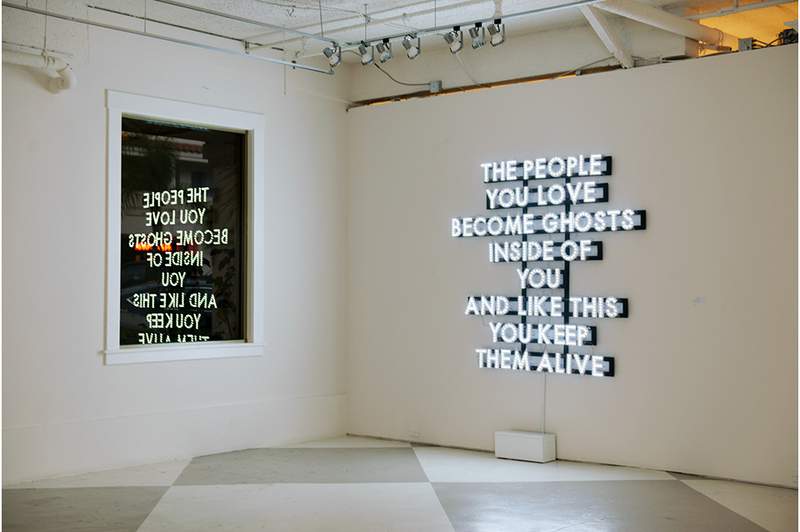 Following the tradition of conceptual art, Montgomery creates thought-provoking sculptures out of LED lights and text. 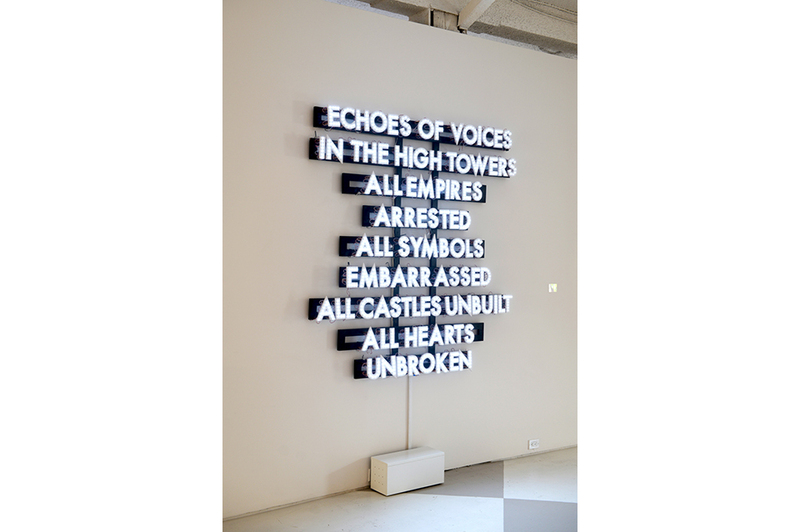 With these works, he addresses all-encompassing, universal themes such as power, love, and human kindness in electric light—or, dramatically, even fire. These poems affirm his philosophical beliefs, as he categorizes them as “melancholic post-Situationist,” and his personal connection for British-Celtic traditions of the mystical lands as written by W.B. Yeats and William Blake. 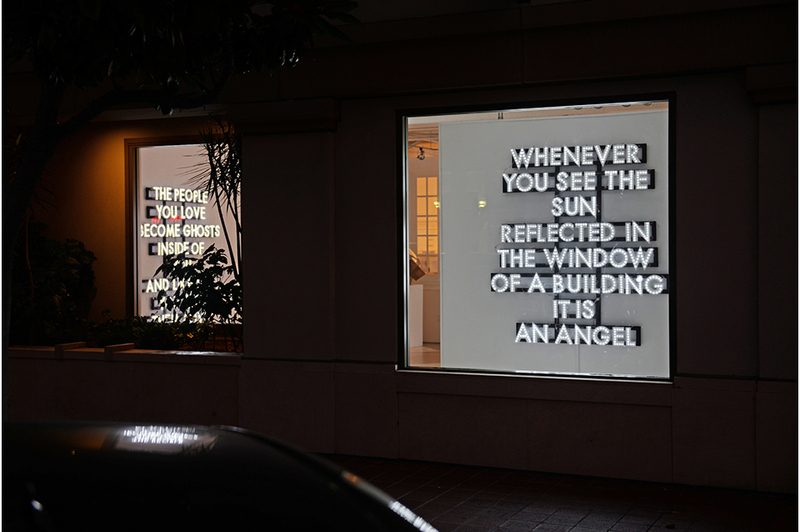 His simple, graphic poems have since been plastered, often illegally, over advertisements and billboards internationally. The British artist selected for the Kochi-Muziris Biennale 2012, the first biennale in India, Montgomery has had solo exhibitions at venues across Europe and Asia, including a recently mounted, major outdoor light installation on the site of the old US Air Force base at Tempelhof in Berlin, with Neue Berliner Räume. His work has been included in numerous exhibitions at venues as diverse KOP, Breda, NL; Athens Festival, GR; Palais de Tokyo, Paris, FR; 54th Venice Biennale, Venice, IT; The De La Warr Pavilion, Bexhill, UK; The Grand Palais, Paris, FR; Guido Costa Projects, Turin, IT; The Embassy Gallery, Edinburgh Scotland; and The BALTIC Centre for Contemporary Art, Newcastle-Gateshead, UK. Founded in 2001, Madison Gallery is committed to representing emerging, mid-career and established international artists whom work in a range of media. Inspired by an earnest dedication and passion for art, the gallery consistently exhibits a high standard of contemporary art. Madison Gallery works closely in building private, corporate and public collections thus placing it amongst the leading contemporary galleries in California.